We’re so chuffed to be inviting Tipsy Parties in to host a Cocktail Masterclass. You will receive a 2 hour lesson where you will learn to make 4 cocktails. 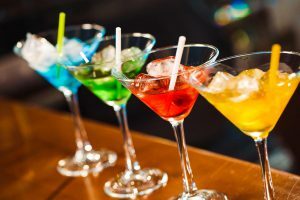 The Tipsy Cocktail lesson covers the basic construction of cocktails, cocktail equipment and cocktail making techniques. You will use professional bartender equipment under instruction from the bartender to mix 4 delicious cocktails. This event will take place on Thursday 27th September 7.30-9.30pm. The cost will be £30 per person, and payment is required up front to secure your place.